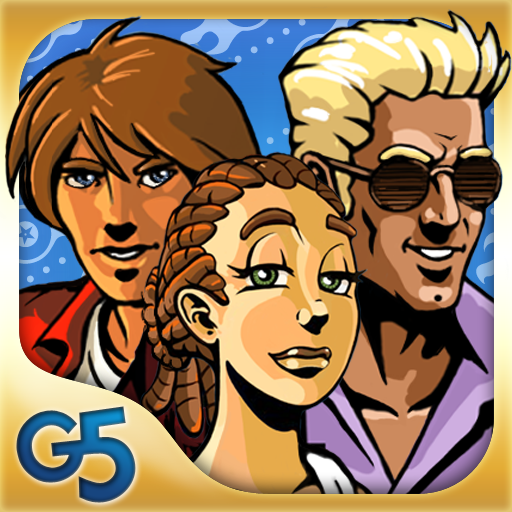 Fix-it-up: Kates Adventure (Free) by G5 Entertainment is a fun time management game. 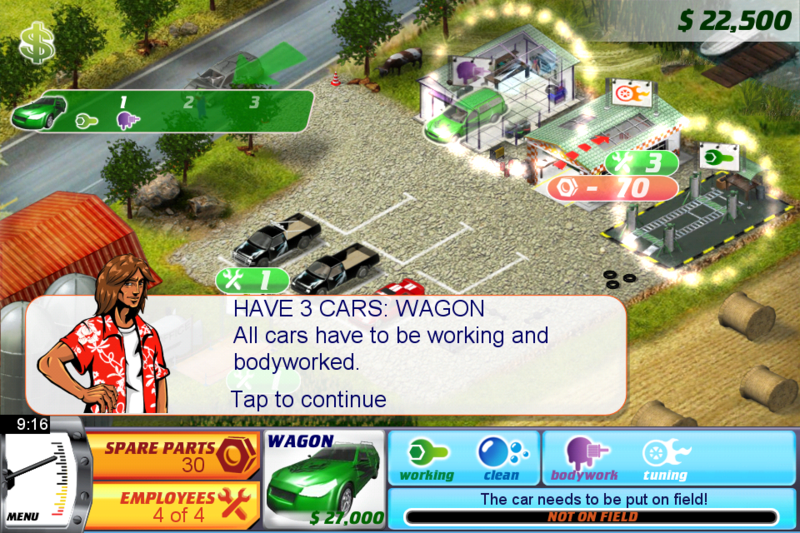 You need to help Kate rebuild her fathers auto repair shop. The income is slowly disappearing and the business is on the verge of closing down. 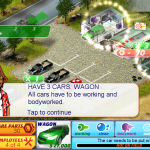 Kate offers to get the earnings up again and become the best workshop in Nevada. To play the game you need to know what your goals are. 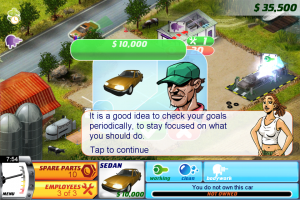 The goals icon is located at the top left corner and it will give you all the information you need to know. The first goal is to acquire a rental income of $3,000. You earn rent from every clean, working car in your yard. The rental income will make up most of your earnings. If you tap a car it will give you all the information you need to know about it. Details such as current value, rent it receives, and if the car is working or if needs cleaning. This is where the management of the game comes in. If a car needs repairs you then have to take it to the bodywork shop to get it fixed. Then it will increase the car value. 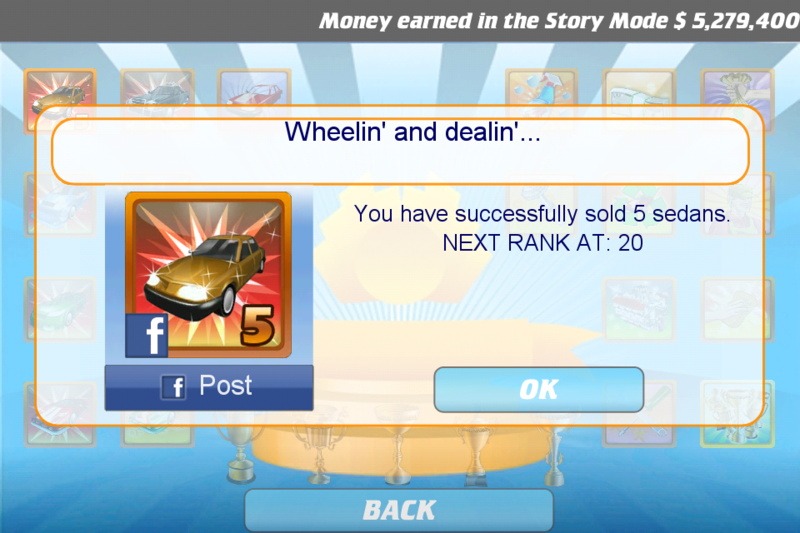 Another way to earn money is to sell the cars. To start with, you may have a few cars in the yard but it is then your job to buy cheap ones, fix them up and then sell for a profit. 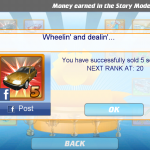 When you complete set achievements within the game you are rewarded with trophies that are placed in the trophy room. You can share these awards with your friends via Facebook. I really liked the graphics and sound effects. The game is free to download and you then have a choice to buy the full game via an in-app purchase. 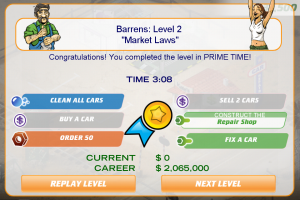 The levels they provide for free though are a good amount to enable you to get a feel for the game. In the full game there are 30 levels in six different settings with 12 time and money challenges. This is a good all round game that will provide several hours of fun.